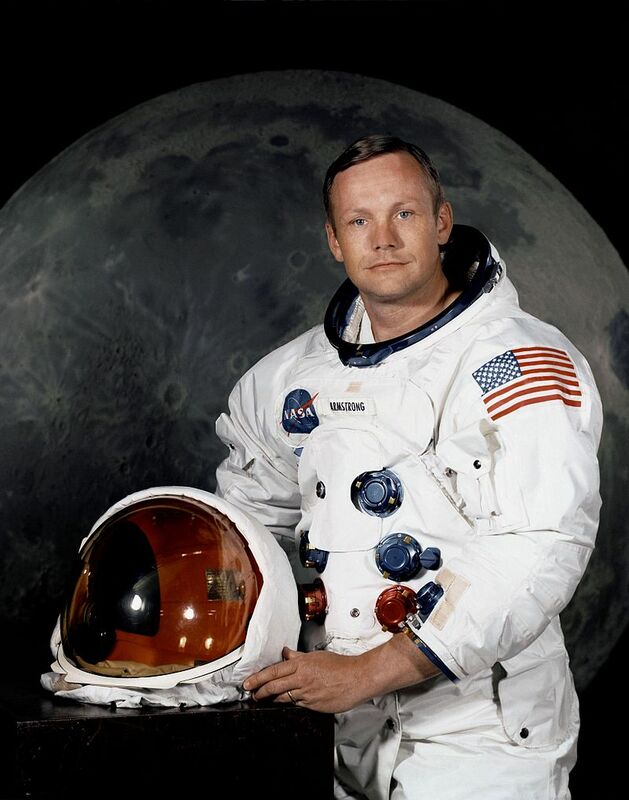 Neil Armstrong is remembered today as the first man to walk on the surface of the moon, which was a significant event in both the Cold War and the space race. Armstrong was born in Wapakoneta, Ohio on August 5th, 1930. He was fascinated by flying from an early age, and when he was just 16 earned his student pilot’s licence. In 1947, Armstrong started at Purdue University where he started his studies in aeronautical engineering. However, just two years in to his studies he was called to serve in the Korean War where he served as a naval aviator. In 1952, after the war ended, Armstrong left the military and went back to college to finish his studies. After graduating from college, Armstrong joined the National Advisory Committee for Aeronautics (NACA) in Cleveland, Ohio. When he started working at NACA, he was also able to start to settle down and as a result got married to Janet Sharon and they had two children, Eric and Karen. Sadly, Janet died as a result of complications associated with a brain tumour in 1962. Armstrong continued to work for NACA and its successor agency National Aeronautics and Space Administration (NASA) for 17 years. During that time, he had a number of roles over that time including being an engineer and a test pilot. As a test pilot Armstrong worked on over 200 different high speed aircrafts including jets, rockets and gliders. In 1962, Armstrong transferred roles again and became an astronaut. In 1966, he was command pilot for the Gemini 8 mission which saw the first successful landing of vehicles in space. Later, Armstrong was spacecraft commander for Apollo 11, the first manned lunar landing mission. The spacecraft landed on the moon on July 20, 1969 and Armstrong gained the distinction of being the first man to land a craft on the moon, and also the first person to walk on the moon’s surface. As he stepped off Eagle, the lunar landing module, he said: ‘That’s one small step for man, one giant leap for mankind’. The phrase was heard by over a billion people on earth who were eagerly listening to the lunar landing broadcast from NASA on the radio or were watching on the TV. After his successful mission to the moon, Armstrong continued to work at NASA, but now worked in the NASA headquarters where he was responsible for research and technology. In 1971 Armstrong went on to become Professor of Aerospace Engineering at the University of Cincinnati. He also joined a number of societies and commissions where he helped to make important decisions about space travel, astronautics and engineering. Armstrong will always be remembered as being the first man to walk on the moon, but he did so many other great things for the fields of engineering, aeronautics and astronautics. Over his long and fruitful career he received a number of special honours and recognitions from a range of countries. Armstrong died in 2012 as a result of cardiovascular health issues.